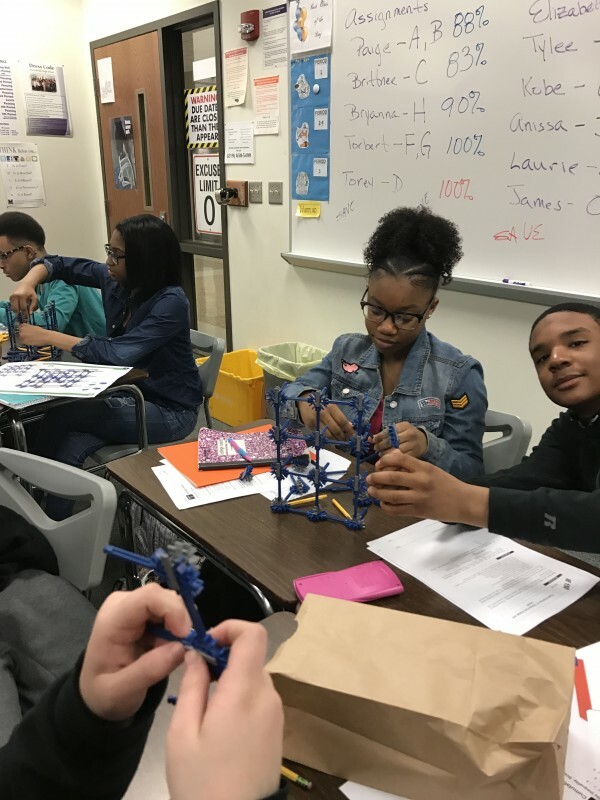 Grant Spotlight Archives | Merrillville Education Foundation, Inc.
Merrillville Schools – A Great Choice! 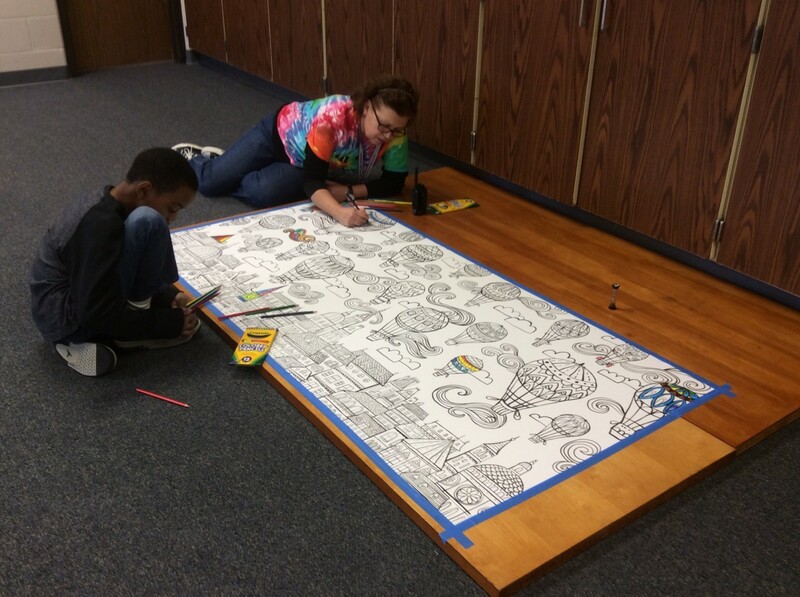 Every month, we create activities and projects to promote kindness, respect, empathy, and unity throughout the building. 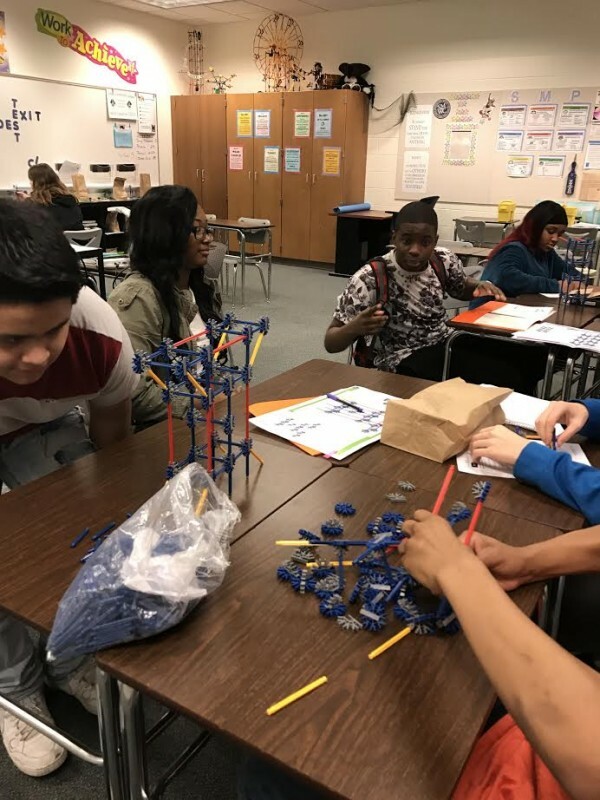 Our PBIS team, along with our Student Council and STAND club collaborate to create these themes and projects together, and staff members including the PBIS team, the Therapeutic Counselor and Social Worker, create monthly lessons focused on the theme. Students are also able to write “Acts of Kindness” that are announced on morning announcements. Research shows that kindness is learned not just be talking about or thinking about it, but by feeling kindness so we can reproduce that emotion and feeling to others by sharing kindness. The feel-good experience also produces endorphins in the brain that are associated with pleasure, social connection and trust. When our brains are in this state, our students can learn better and concentrate more on schoolwork. This project will also help to teach relationships and meaningful connections with other human beings. By doing this, our peer acceptance will likely increase leading to a reduction in bullying and behavior referrals. Finally, being intentional in focusing on kindness, we will continue to develop happy, confident, well-rounded individuals who will be able to collaborate, cooperate, and accept differences in other human beings. These skills are needed for our children as they become adults to help change our world. We have been working hard to create a Culture of Kindness at MIS. So far, we have demonstrated 5,775 acts of kindness since the inception of the program. Every month we set a goal as a school. We celebrate every month with the “Act of Kindness MVP” award. When a staff member recognizes our students demonstrating acts of kindness, the students are given a Kindness Coin. The coin is turned in for an entry into a drawing. Students and teams have been recognized for their acts of kindness with rewards and prizes. Every month, we draw one name for 5th grade and one for 6th grade as our MVP. That student receives a trophy, and they have their picture on our Kindness Wall of Pride. Every month, we are creating activities and projects to promote kindness, respect, empathy, and unity throughout the MIS building. We celebrate every month with the “Act of Kindness MVP” award. 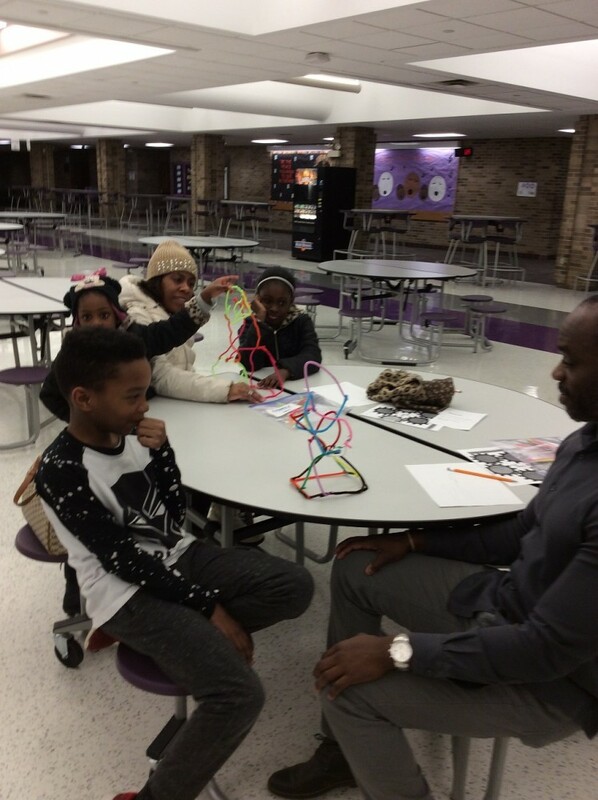 Approximately 100 families attended and participated in a variety of STEM activities. 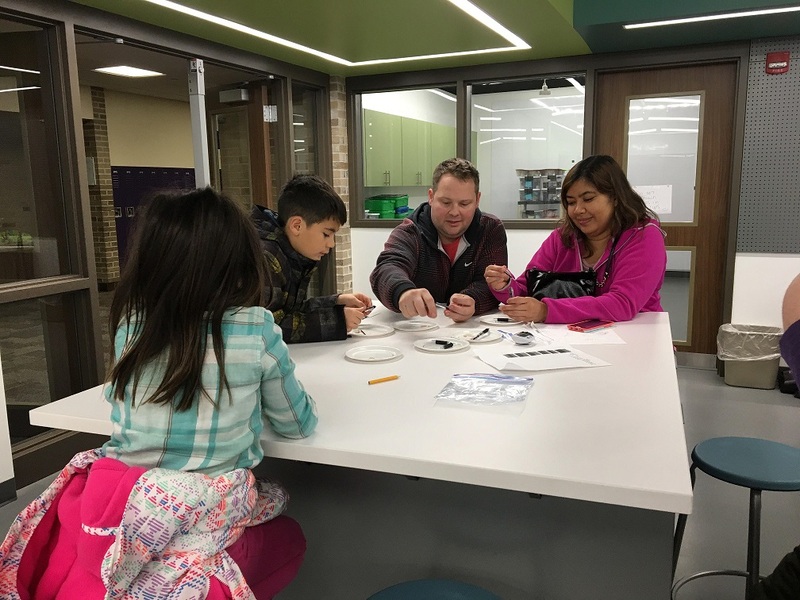 The purpose of the program was to introduce our parents to the engineering process and the new Makerspace Room at MIS. 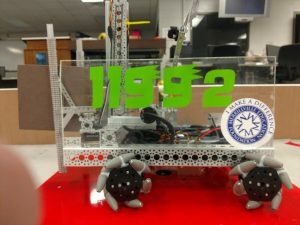 The new Robotics Club expanded to two teams for competition in 2018. These students will be exposed to a CAD program donated to all first teams to develop their robot virtually before they start building one. We will host a Family Engineering Night each trimester. Parents and students will be invited in to participate together in a variety of STEM activities. The purpose is to introduce our parents to the engineering process and the new Makerspace at our school. Activities will include: Arches, Boxing Beans, Glue is the Clue, Inspired by Nature, Let’s Communicate, Make It Loud, Shifting Shapes, Who Engineered It, Domino Diving Board, Happy Feet, Solid Ground, Assembly Line, Launcher, Stop and Think, Team UP. Students and families will learn the engineering process and be encouraged to participate in our Time to Invent Club as well as seeking interest in future STEM professions. This will also support our three STEM projects that we are incorporating throughout the school year. Students and families will learn collaboration, thinking, problem solving, and simply a great way to have fun as a family. 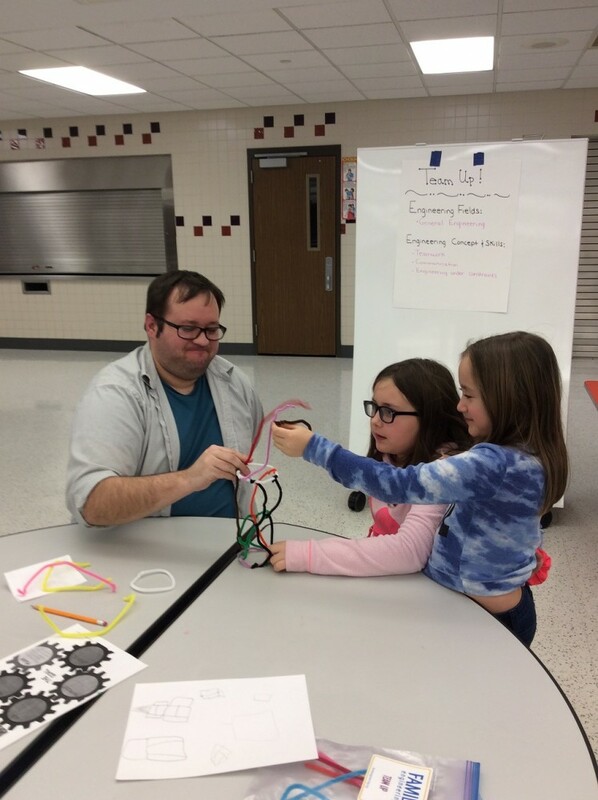 We have held two Family Engineering Nights. 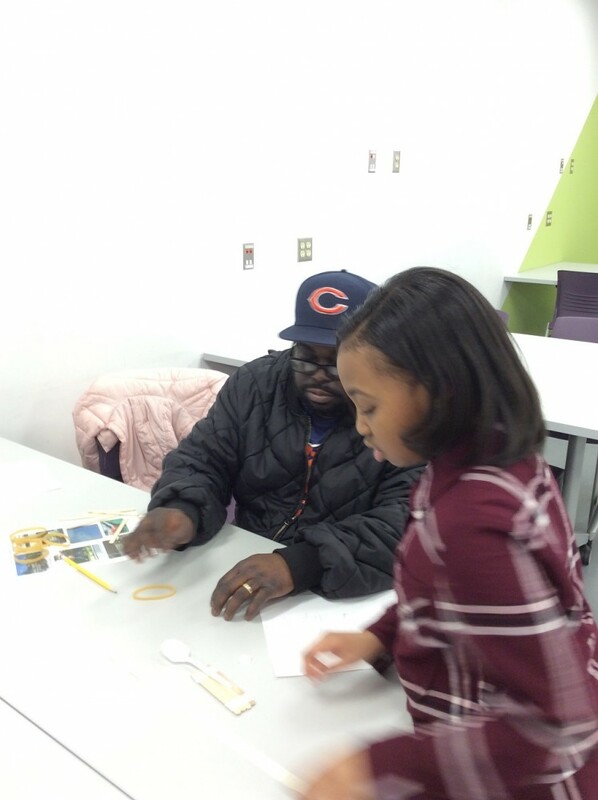 Approximately 100 families attended and participated in a variety of STEM activities. The purpose of the program is to introduce our parents to the engineering process and the new Makerspace Room at MIS. 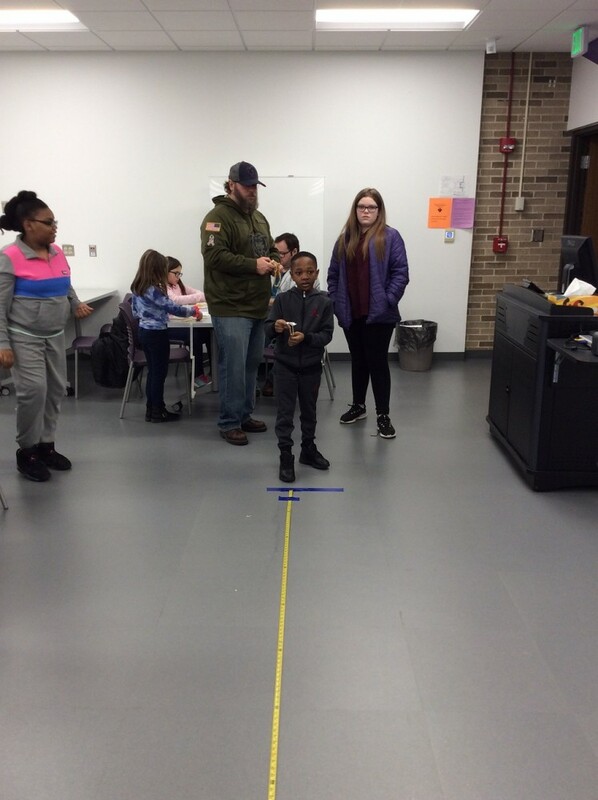 Students and families learn the engineering process, be encouraged to participate in our Time to Invent Club, and seek interest in future STEM professions. Families worked together in the Launch activity, designing a catapult with only a spoon, rubber bands, and popsicle sticks. 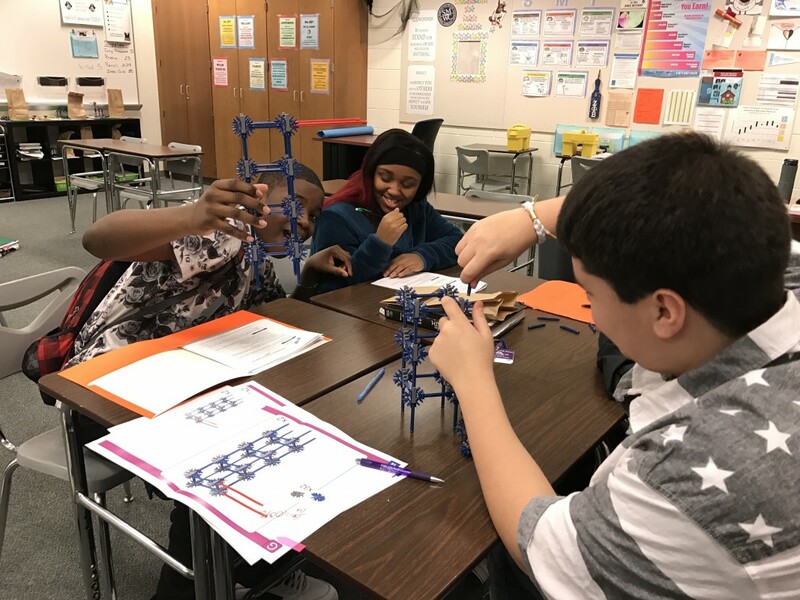 The Tower Activity challenged them to build the tallest free-standing tower with only pipe cleaners. Throughout the challenge, different parameters were put into place such as no talking with team, one hand only for each team member, etc. The final activity was the assembly line, where the teams had to create the most efficient and effective way to build something. Students and families used collaboration, thinking skills, and problem solving. Everyone enjoyed themselves, and this was a wonderful and fun family learning experience for all. As the sponsor of the new Robotics club we are looking to expand our group to two teams for competition next year. These students will be exposed to a CAD program donated to all FIRST teams to develop their robot virtually before they start building one. 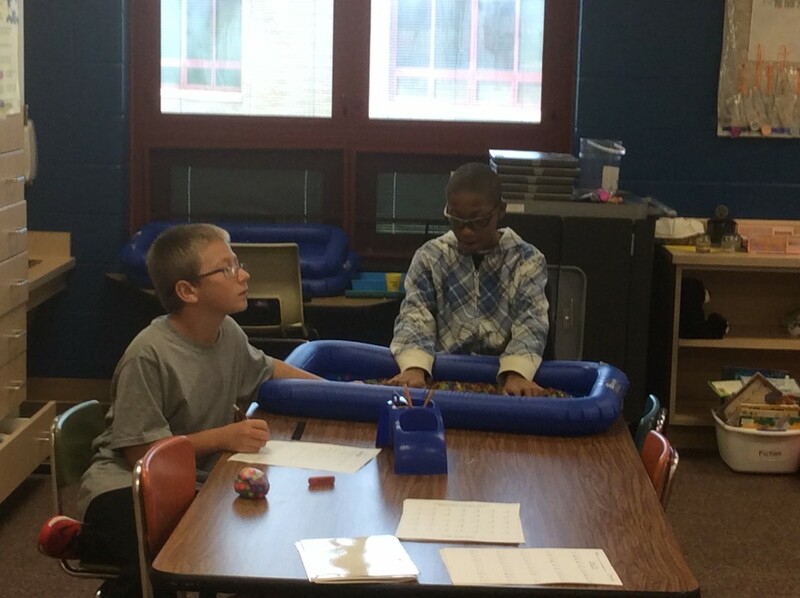 This program gives our students a chance to work with real objects trying to solve real problems. 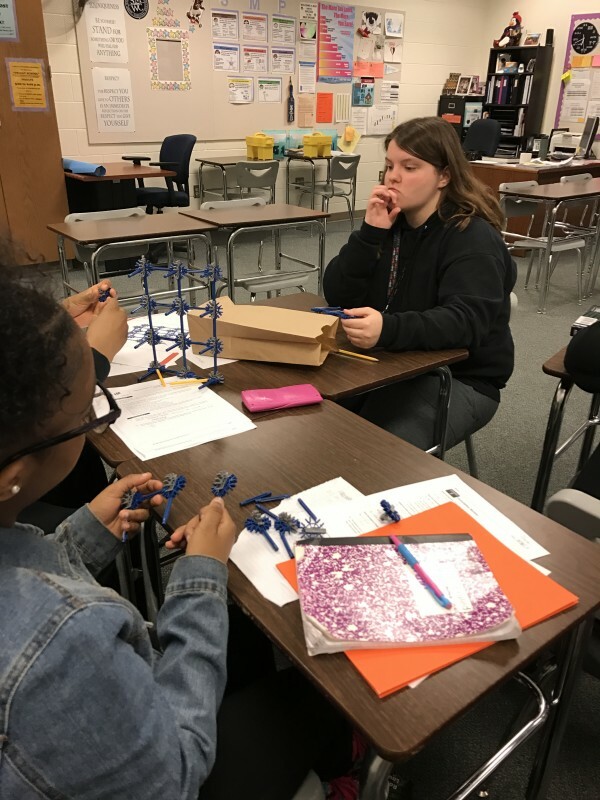 It is one of the best STEM programs our students can participate in here at Merrillville High School. Each robot costs approximately $1,365. This price includes the phones, the controls, all the electronics needed to have the robot perform as directed, and the basic building kit to build the skeleton of the robot that holds all of the above and operates on the game field. Each year the “game” consists of five or six tasks the robot must perform in order to score points. This year has started off very well for our team. We held a kickoff with the Hobart team here at the high school with about 70 people attending the event. The game for the year was officially released at that time. In November we attended our first scrimmage of the year in St. John hosted by a local Christian school. We placed first in that event. In December we hosted another scrimmage here at the high school. Six teams and about fifty people gathered in our main cafeteria, and we finished second in this scrimmage. Our first competition will be Jan. 6th in Crawfordsville, IN. Both teams are going to attend this event but only the varsity team will compete. We are thankful to the Merrillville Education Foundation for all they have done for us over the last few years in helping the Robotics Club get started and grow. The Mindfulness Project classroom will teach children how to build self-awareness, effectively handle their emotions, and empathetically manage their relationships. Self-awareness to students lead to social and emotional regulation. When students can effectively manage their emotions, they learn to identify feelings and emotions and how to handle situations or problems in a positive and effective manner. Empathetically managing their relationships will help reduce conflicts between students that result in a decrease in discipline referrals leading to less in-school and out-of-school suspensions. Students that are present and aware, are more productive and perform better academically. 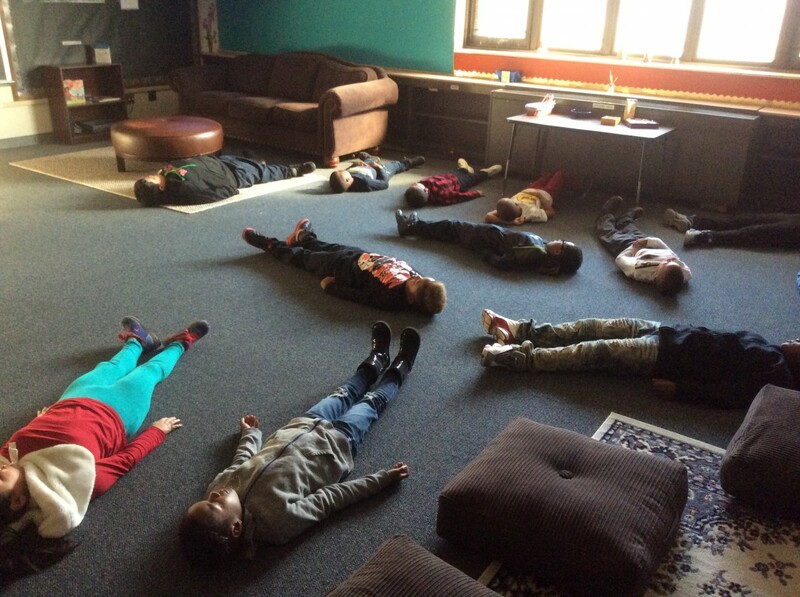 We would like to thank the Merrillville Education Foundation for the grant that funded “The Mindfulness Project. 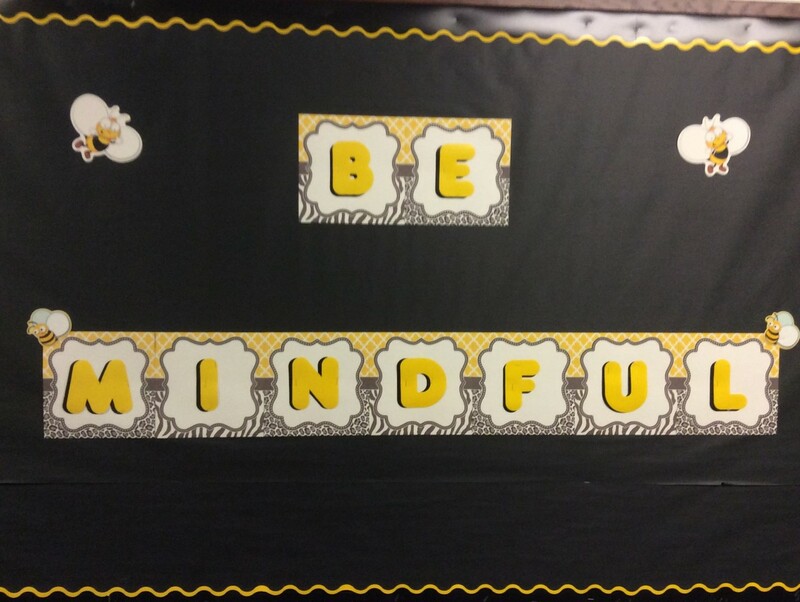 Our Mindfulness room is open to all students and staff to use as needed. 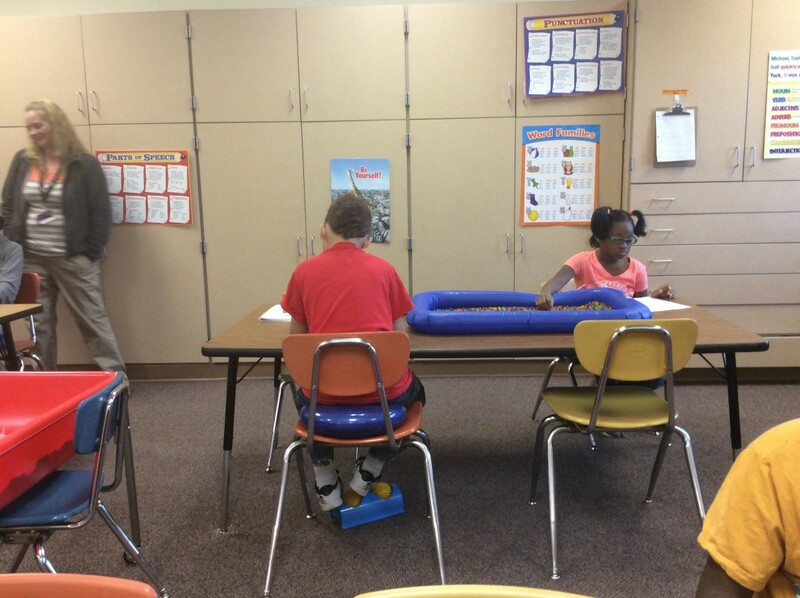 This room has been very beneficial for calming students that have anger issues, high anxiety, ADD, and ADHD. In time, we believe that the mindful room will aid in helping our students to learn how to self-regulate their own emotions and focus. It is our hope that our students and staff will use their mindful practice daily. Staff and student resources on yoga lessons, mindful breathing, guided meditation practice, guided mindfulness scripts, relaxation music, and art therapy are provided. We will continue to add to our room as needed. Miller students and staff receive a Mindful Minute lesson and practice every Monday over the intercom to help get their week started on a positive note, which helps guide their practice for the week. 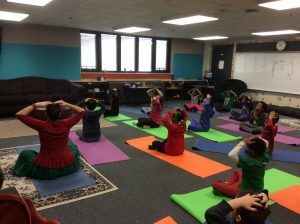 We are very grateful to the MEF for giving us the resources to help fund “The Mindful Project” at Edgar L. Miller School. The introduction to Industrial Engineering through Theme Park Development STEM Project initiative will expose students to some of the intricate behind-the-scenes production cost and science-related influences of theme parks so that they can become a different type of consumer and determine for themselves if the value of admission cost and it scientific impact is fair. 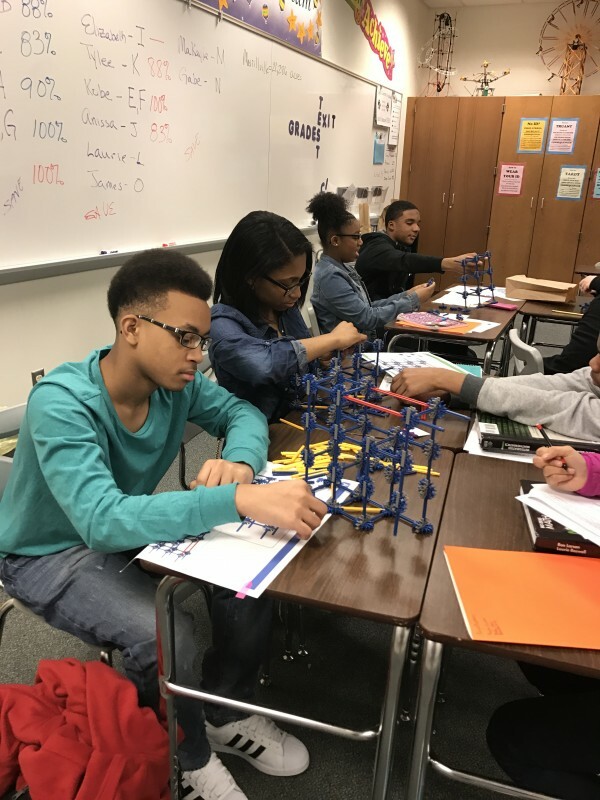 They will gain exposure in writing a business plan, estimating cost, projecting income based upon multiple variables while experiencing hands-on application of science, technology, engineering, and math in an area which they are the traditional consumers. The students have had a wonderful experience learning the history and planning of amusements parks. They are still planning their group amusement parks and were surprised to learn that even a simple thing such as a parking space can cost more than $2,000 per space. 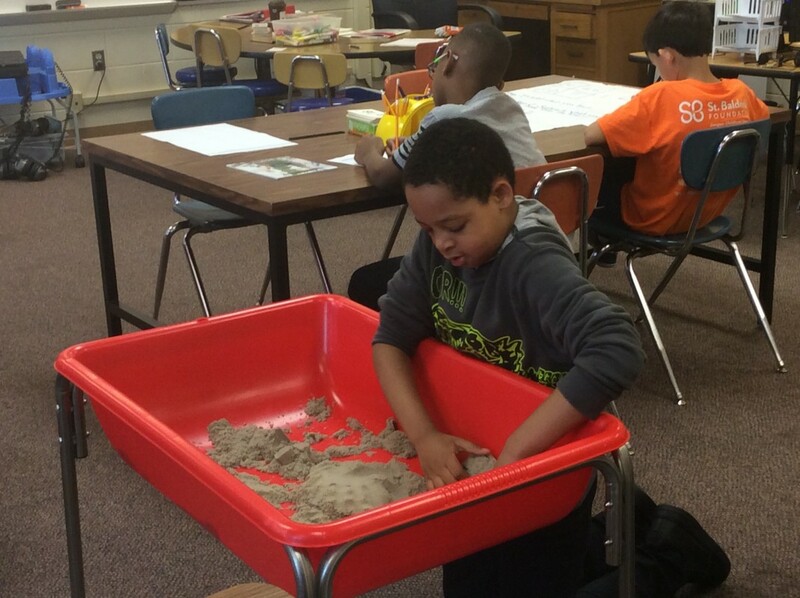 This project creates a place where students with a wide range of sensory, self-calming, and stimulation needs can self-advocate and regulate emotions without leaving the instructional environment. 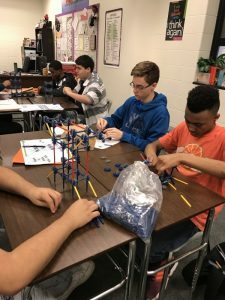 Students will have the opportunity to use items provided in the sensory areas to calm down, self soothe, release anger, and work through frustration in a positive, nonjudgmental climate. These potentially decrease the amount of special education referrals, decrease referrals leading to out-of-classroom suspensions, decrease classroom disruption while fostering independence, increasing student instruction and learning time, and facilitate an environment that is safe and comfortable for all students. Jonas E. Salk Elementary School was awarded two grants, one from the Merrillville Education Foundation and another from NIPSCO, to purchase items to meet the sensory needs of students. 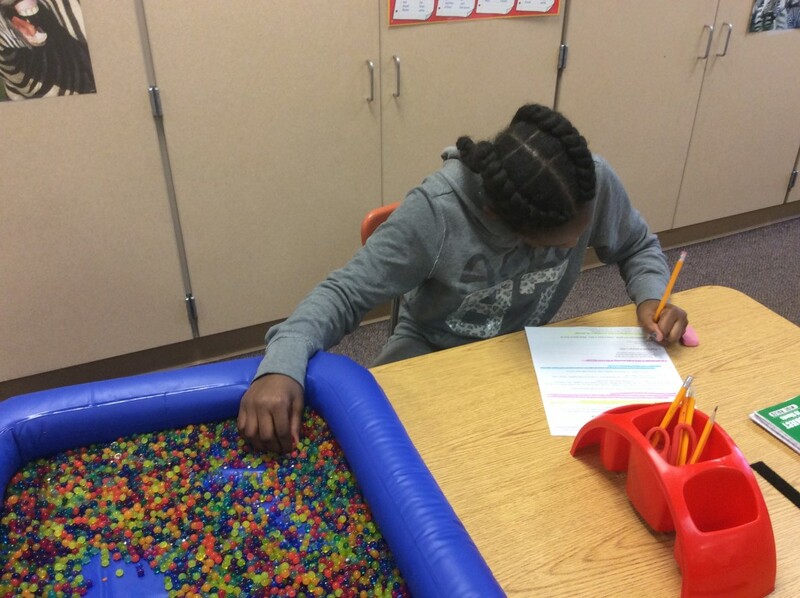 With the money granted, we were able to purchase various items such as kinetic sand, foot rollers, chair bands, jelly beads, various fidget toys, in addition to several other sensory items. All teachers, K-4, have access to the items and are encouraged to utilize them in their classrooms to meet the many needs of their students. We have noticed a significant drop in the number of students needing time away to regroup and time off task since the items have been introduced. The teachers and students at Jonas E. Salk sincerely thank the Merrillville Education Foundation and NIPSCO for their generosity! 2nd Annual MEF Walk-A-Thon a tremendous success! Merrillville Education Foundation, Inc. is a 501 (c)(3) public charity. All donations are tax deductible. If you would like to make an online donation to the Merrillville Education Foundation, please use the payment button below. You will be able to enter in a variable donation amount of your choosing.